I am Stephanie. 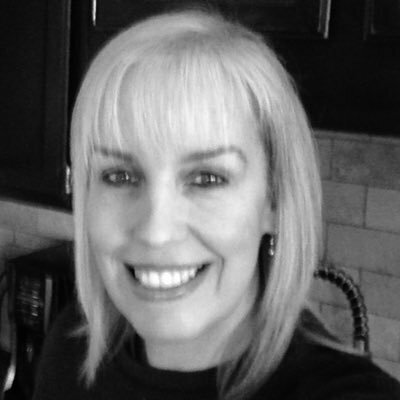 Here is a little about me and Furniture Flippin'. 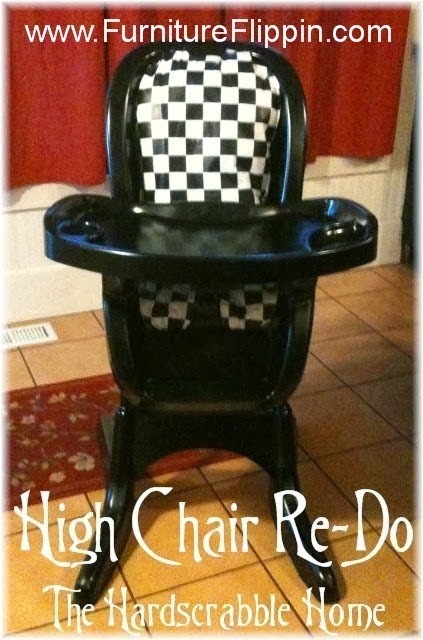 I am a wife & mom who loves to give new uses to old objects and new life to what would otherwise be throwaway pieces. I prefer handmade over mass produced and believe imperfections just make it worth more. My motto is to live frugal but make it look like you aren't. I began this blog as a creative outlet for myself. A place where I can write and showcase the talented people with whom we are lucky enough to share this planet. I am constantly on the lookout for burn pile bound furniture. I hate seeing things that can be useful again be destroyed. If I can get it for free, that just makes it all the better. I've picked up hitchhiking furniture all across our part of Illinois. I take it home, see what parts and paint I have in my stash, and try to bring it back to life. I was even able to help my son furnish his apartment for less than $44. We lovingly refer to that feat as The Park Ridge Project. For furniture that needs some repair, I turn to my handsome handy husband (my Triple H) who is more than helpful when it comes to assisting his wife in her furniture foray. I can find a piece of furniture in horrible condition and falling apart, and envision what it can become. My husband will see it and think, "Burn pile!". Our favorite flip so far (that we have done) is the infamous "Dumpster Dresser". It was a family affair. My daughter and I climbed into the dumpster to rescue it and haul it home. My young son spent a Saturday helping sand it. I designed what I wanted it to look like. Triple H did the heavy metal and wood work on it. I did the sanding, painting and finishing work. It went from an ugly falling apart mint green dresser to a fabulous heavy metal entertainment center. It's now the focal point of our family room. You can see details of our other flips by checking out Steff's Stuff. 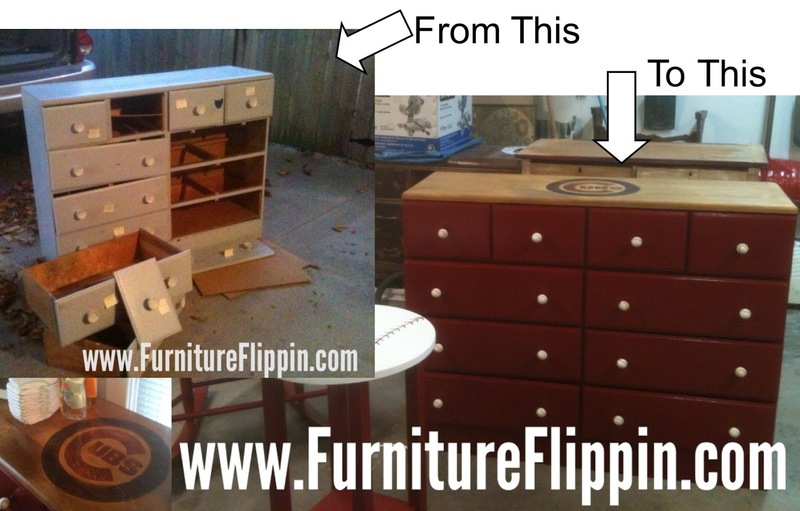 I'm continually inspired by my fellow furniture flippers and this blog is mostly about THEM and THEIR MAKEOVERS, with a few of my own thrown in every now and then. When I find someone with talent I like to tell everyone I know . A greater bunch of people you will not find than the furniture flippers we feature here. They are eager to share with you their before & after pics and let you in on some secrets, too. I hope you enjoy your time on my blog, looking through the furniture flips, getting inspired and perhaps every now and then finding a piece you can't live without. Most of our furniture flippers do sell their pieces and I'll put you in contact with them. (A directory is in the works). 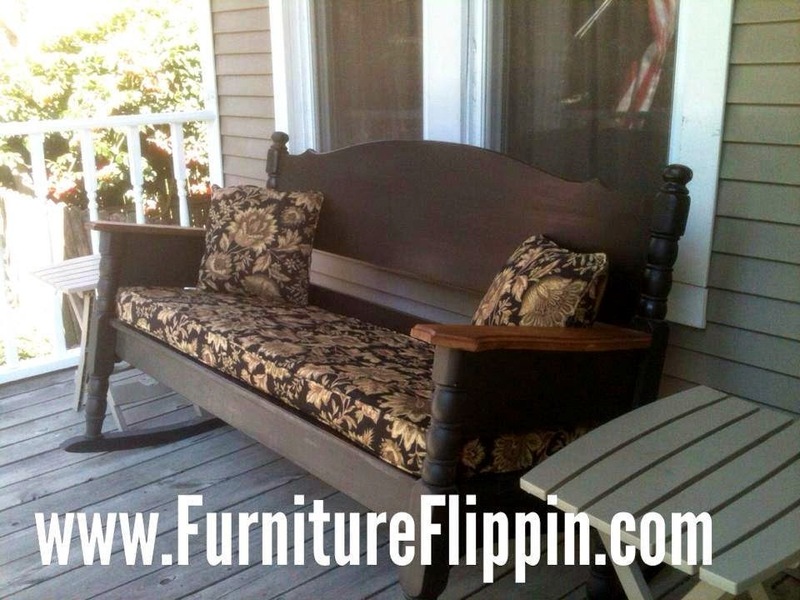 Are you a Furniture Flipper? 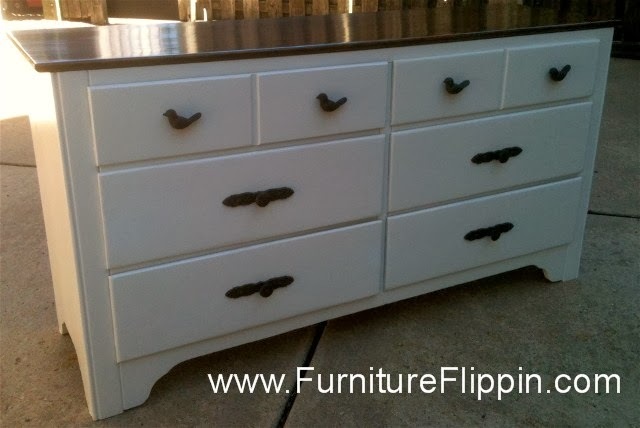 Do you have a Furniture Flip you'd like to submit? Let me know! 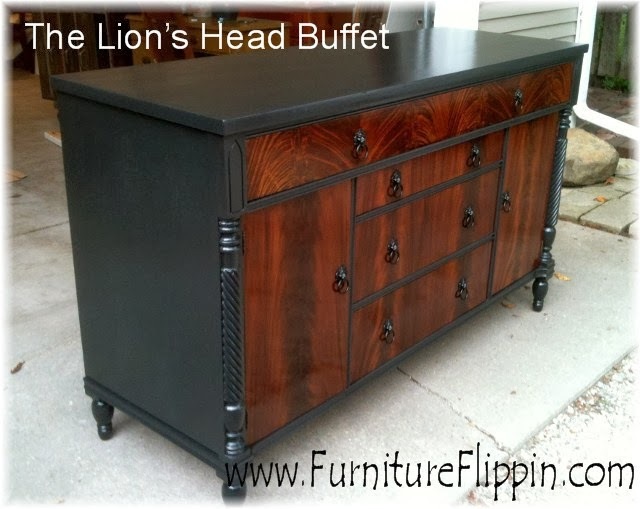 Email me at furnitureflippin@gmail.com . I require a before/after picture and as much details as you would like to share. The more info you provide, the better write-up I can do! 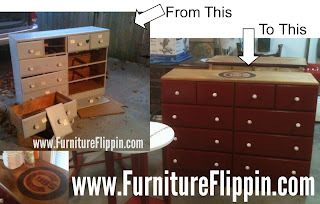 If you have a piece of furniture and are trying to figure out what to do with it, let me help! Email the before pic and ask me "What Would You Do?". I'll pose the picture and question to all of my furniture flippin' friends and get their input for you. Send those WWYD pictures to furnitureflippin@gmail.com . Thanks for visiting Furniture Flippin'!